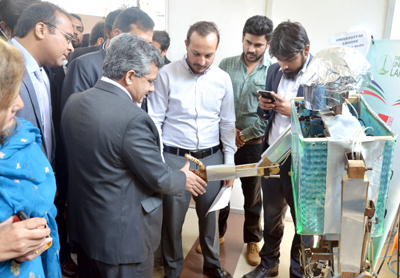 LAHORE: (Wednesday, March 7, 2018): As many as 500 indigenous technologies, with around 200 startup projects, were put on display at 7th Invention to Innovation Summit organized by Punjab University Office of Research, Innovation and Commercialization in collaboration with Pakistan Science Foundation and Institute of Research Promotion at new campus. 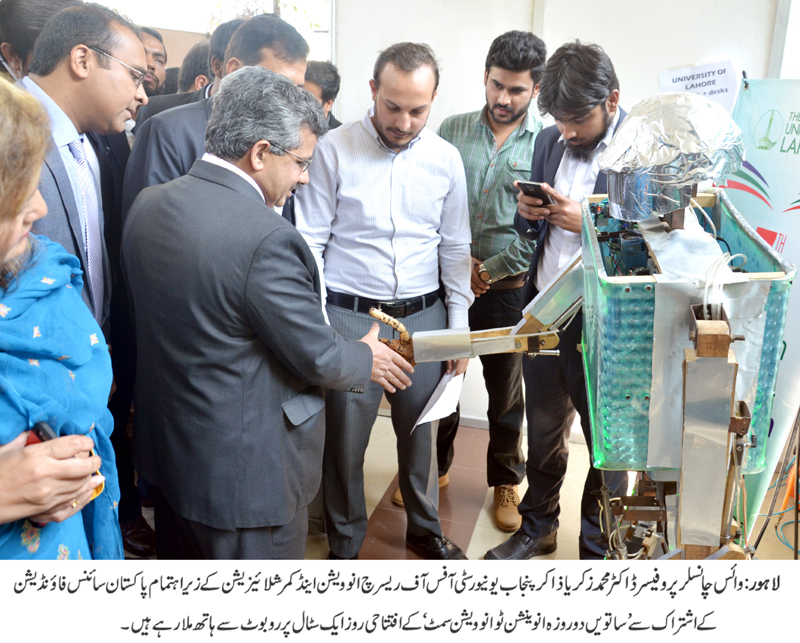 As many as 100 institutions from all over Pakistan are participating to showcase their innovative ideas at the corridors of Institute of Education and Research. The inaugural ceremony of the summit was held at Faisal Auditorium here on Wednesday. PU Vice Chancellor Prof Dr Zakria Zakar was chief guest on the occasion while Government College University Faisalabad Vice Chancellor Prof Dr Muhammad Ali, President ECO Pakistan Science Foundation Dr Manzoor Ahmed Soomro, Chief Executive Officer IRP Abid Sherwani, Secretary Livestock Naseem Sadiq, Lahore Chamber of Commerce and Industries’ Vice President Zeeshan, USA’s University of North Karolina’s Prof Dr Martin Fing, chief executive officers of various industries, representatives of various science organizations and a large number of students were present on the occasion. Addressing the ceremony, PU Vice Chancellor Prof Dr Zakria Zakar called upon the need to strengthen linkages among academic, industry and society. He said that universities were producers and societies were consumers of the knowledge and the gap among the trio would increase our socio-economic problems. He said that PU would play its role for establishing strong link with industry and society. He said that all such research work was useless which was in the shelves only and not contributing to improving living standards of the people. He said that we needed to popularize and harness scientific knowledge in our country and innovative ideas must be fertilized at campuses. In this regard, he said that, there was a dire need of identifying the needs of our society and industry. Addressing the ceremony, Dr Muhammad Ali said that our small problems were also very important which needed to be addressed. He said that we had a lot of potential but we need leadership and direction. He said that we must promote culture of innovation and commercialization at university level. Dr Manzoor Soomro said that we have the best human resource and innovative ideas which could be utilized for development of our country. He said that Pakistan Science Foundation was promoting such activities to promote science at grassroots level. He said that there was also need to trace history of science in Pakistan. IRP CEO Abid Sherwani called upon the government to double education, research and development budget. He said that the idea of the summit conceived seven years ago was to promote indigenous technologies in Pakistan. He said that the nations that spent money on education had made wonderful progress. 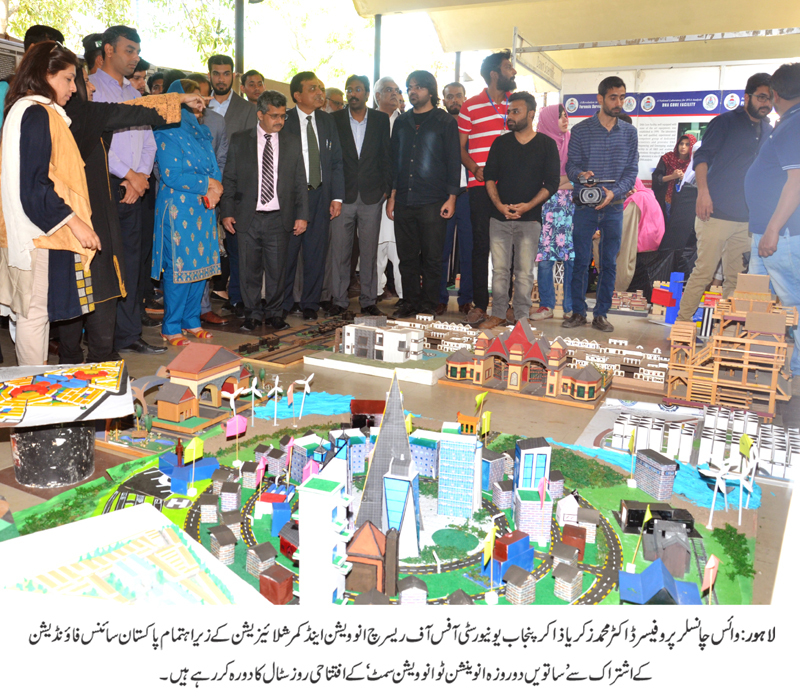 Later, PU VC Dr Zakria Zakar inaugurated the summit and visited stalls. 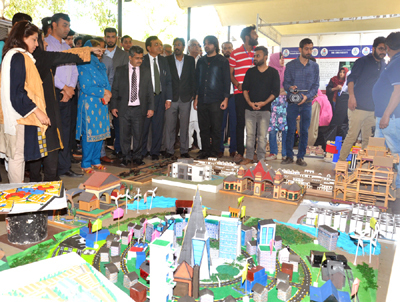 The students had showcased various innovative ideas. The participants took special interest in robot, smart city project, water recycling and other stalls set up at IER corridor. The summit will continue today (Thursday).